Julie is the mastermind behind Ecologic’s new paper bottle – a testament to her insatiable curiosity and ability to “think outside the bottle”. 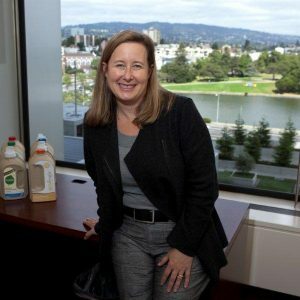 She approaches challenges with fierce optimism and tenacity and isn’t afraid to turn the packaging industry upside down. Julie’s passion is bolstered by her 16 years of marketing and investment experience. Prior to founding Ecologic, Julie was a Partner at Jurika & Voyles, Inc., where she led the firm’s institutional service and marketing efforts that contributed to asset growth of more than $5 billion before it was sold in 1997. Julie has also worked for RBC Dominion Securities and the Royal Bank of Canada as well as BBDO Worldwide in Prague, Czech Republic.